What is your favorite classic muscle car? I would have to say mine is a 1967 Ford Mustang GT Fastback… Those are beautiful! What is yours? I like the classics, but not as muscle cars. I’d like a yellow 1941 Packard with all the celluloid knobs and gizmos of the time. They were precious. @Jeremycw1 You are my vehicular soulmate. I love the ‘68 shelby. That’s one of the three things I want to own before I die. Dodge Charger, preferably a ‘68. I’ve always been partial to a really clean Chevelle. When they are done right it’s amazing. For a stock cruiser I have to go with the 1967 Goat convertible! But, given the chance, I’d rather go off with a 1964 Cheetah with a 454 SBC tuned up to only about 540hp, with an extremely lopey and wonderfully chaotic cam. With straight open headers butterflied to Flow Masters. And I don’t mean “bubbly” (just a low idle setting), or “loud” (open headers), or “hollow/deep” (straight pipes). I mean completely chaotic and utterly unpredictable. It’s the unpredictability that is so fascinating. Alive! An animal. Especially blipping the throttle, and all that random goodness harmonizing perfectly quickly. Not exactly like this, but you get the idea. A M-22 Muncie for that straight cut gear sound. A wolf in wolf’s clothing. Custom suspension work all the way around primarily for Santa Monica canyon work. @ipso You know, I’m not such a big fan of the supercars. But you picked some really, really pretty ones. Well done! 1971 Ford Falcon GTHO Phase 3. At the time it was the world’s fastest four door sedan. After that, a 1972 Chrysler Valiant Charger E49. Look them up if you’re not familiar with Australian muscle cars. The original; early 50s Olds Rocket 88, large V-8 in a light midsized car. My late 30s Packard will out-perform it, but it cost five times as much. @Harold That’s the “Mad Max” car? @stranger_in_a_strange_land – No, that was a Falcon Hardtop, around a 1973 model. They’re pretty nice, too!! I have to go with either the 1971 Hemi Cuda or 1970 Plymouth Superbird . Either a Ford Falcon GTHO Phase III, or a Falcon XC Cobra would do nicely. Depending on how you define a muscle car, a Jensen Interceptor would be great, but the best would have to be an Aston Martin DBSV8. 1963 Impala SS, 409 4 speed convertible, I sold it when I went in the service, and have regretted it ever since. Mine would be the TVR 450 SEAC , Rover V8, 2-door drophead. Built between 1988 – 1989, they say only seventeen were made…. MMMMM..?? :-/ not too sure of it’s classic status….. but it’s a real nice motor….. I saw a pale yellow 1957 Thunderbird yesterday. It was so beautiful! I’m a sucker for the classics. :) I have a hard time deciding which is my favorite out of them all. lol! I like the 1965 mustang fastback, the 1970 Buick GSX, 1971 Dodge Charger, 1968 Pontiac Firebird, 71 Chevelle SS 454, and the list goes on. lol! Those are my top picks though. I would love to get my hands on a 53 Chev 150 or 210 and go wild on it, maybe dump in a 383 stroker with a muncie. I also have a weakness for the 68 Pontiac Firebird, the 50’s Star Chief, and if I could fine one I would definitely go for a ‘70 Buick GSX with a 455. I have however been working on my own car for the last five years, it’s not a “classic muscle car” per se, but I did just turn it into one :D. My ‘75 Buick Apollo is powered by a 1970 Poncho 400 and is now pumping out a healthy 327 HP and 448 ft/lbs of torque. Still have to finish my body work but it’s one hell of a sleeper car. It embodies the spirit of the muscle car era: find a cheap sedan or coupe and stuff the biggest, meanest V8 you can into it. The 401 AMX is underrated as an orphan make, but may have good collector value in future. The Hudson Hornets of the early 50s were the terror of the stock car circuit. 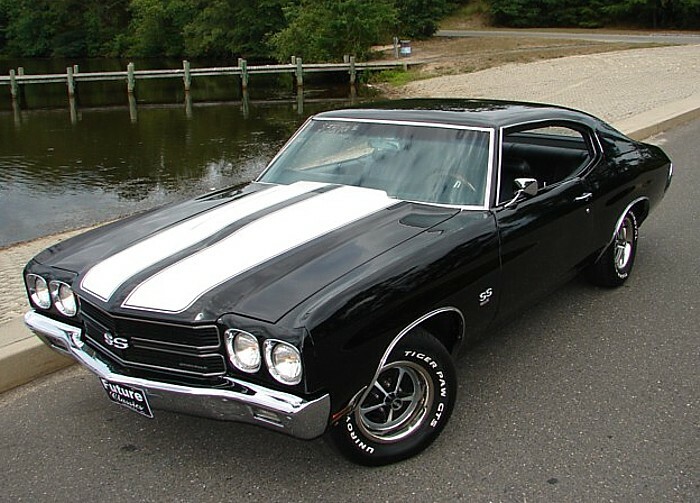 Ever since my two brothers bought one some years ago, i am, just as @ipso, a fan of the Chevelle. However, amongst the old-school, I have to go with Dodge; specifically the ‘71–74 Chargers and their cousins, the Roadrunners. I don’t know if the Cobra 427 qualifies as a “muscle car” as it is simply a big-block on wheels with enough sheet metal tacked on to make it legal to register as a car, but I’ve always admired them as well. 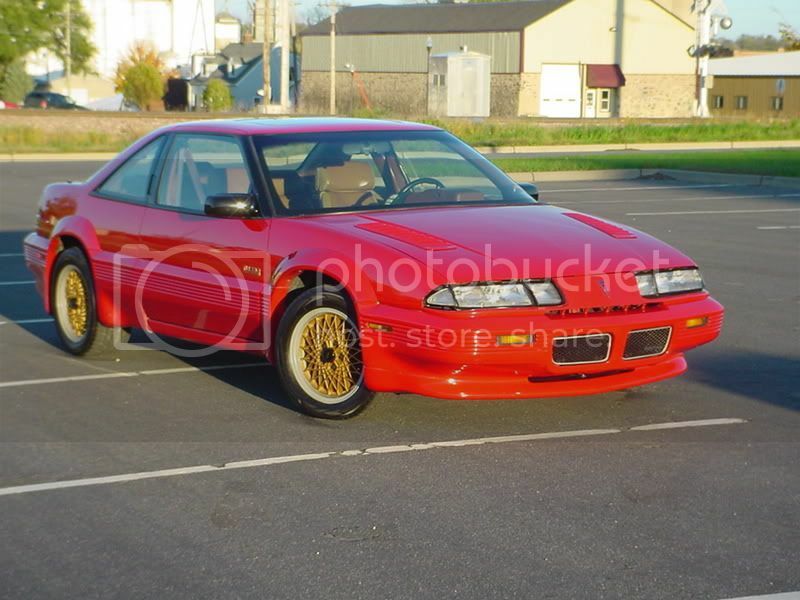 Primarily because I’m saving money for it, but also because it is a truly good car, a 1990 Pontiac Grand Prix Turbo. @Fred931 I dunno if that is old enough to qualify as “classic” yet. @jerv NADA thinks so. It’s just shy of the LX model Mustang produced in the same year in terms of performance. @Fred931 Most definitions of “classic” I’ve seen start at 25 years, and many classic muscle car people won’t even consider any car that isn’t a body-on-frame RWD with a carbureted pushrod V8; no injection, overhead cams, unibodies, or FWDs need apply. I am not doubting it’s performance, merely stating that I don’t see a ‘90 FWD as “classic muscle”. @jerv It is really borderline, I agree, but if I keep believing it is classic muscle, I might win a relevant debate, and fellow teens who know nothing about cars other than the fact that red paint and a loud exhaust are “cool” won’t be able to deny this “fact.” stupid teenagers. I can live with losing another relevant argument or 100 until then. Good names for a high school jazz band? What is this exhaust smell in my car? Why did these multiple things just happen to my car? Why does my car still smell like transmission fluid? Car Nuts: Is using a valve cover breather bad? Are NASCAR vehicles "organically" related to the conventional models they are named for, or is the link arbitrary/marketing.